I always thought I would have 3 children. Not sure why entirely? I grew up in a family with 3 kids. Something seemed off to me in families with 2 or less (not passing judgment on anyone, I just wanted 3). After we had our second child that ‘want’ shifted a bit. The transition from 1 to 2 was harder than I thought it would be. I didn’t feel like I had the capacity to be the Mom and Wife I wanted to be. It didn’t help that our second child did not sleep through the night until age 3. Once he reached a certain age I felt ready again and tried to convince Muscle Man (the stay-at-home parent) that we were ready to add to our family. When my Dad died in 2010 it hit home even more, Dad had one brother who died in a motorcycle crash in 2007, a family with 2 kids all gone within a short timeframe. I thought of my boys and it made me sad.. Around that time a couple of close friends got pregnant…with TWINS!! MM did not like the trend so we put it off a little more. When I started my new job I felt like the work/life balance would lead to re-opening the Baby #3 conversation. And it did.. Soon after I transitioned, hubby was on board and we started “trying.” Don’t you love how that term is socially accepted? 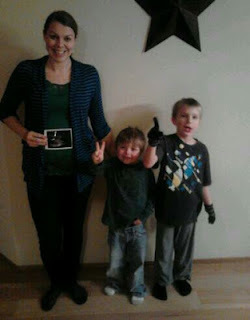 With the boys we didn’t have to try, in both cases we got pregnant the month prior to what we had planned. So I just assumed it would work the same way. It didn’t, 8 months later and nothing. I gained empathy, which is never a bad thing. Every month I was hopeful. I would convince myself (My heart) that I was having the common pregnancy symptoms, then nothing..
We decided early on that we would not intervene. Not make it technical/clinical. If it happened it happened. The “If it is meant to be” approach. The months passed, I would see pregnant women and babies everywhere.. Every time I saw a Garage Sale full of good baby stuff I would get a surge of excitement, but I couldn’t/shouldn’t buy anything, because what if it didn’t happen?? Come October I had about given up on the idea, I decided to not think about it…. Much easier said than done. Amazing when you relax about something that your body knows what to do.. I had a dental appointment the same day that I was due to start my cycle. I didn’t want to have anything done IF there was a chance I was expecting.. so I purchased a test at lunch and used it in the waiting room of the office. I waited and the line was a faint faint pink…but it was there!! I took a picture with my phone and sent it to Muscle Man. He was in denial that any line meant pregnant, he wanted a solid dark line. We took 4 tests over the next week until we knew..
Last night we had the 12 week ultrasound and the baby was very active which was amazing!! This may explain to some why my blog has been a bit different in the past few months J Going forward I will use the blog as a week by week record of my pregnancy and my attempt to keep active. *My goal is to walk/run 10-15 miles a week as long as I can. I am a little behind but will get there. A few people asked on Facebook if we will be finding out the gender. 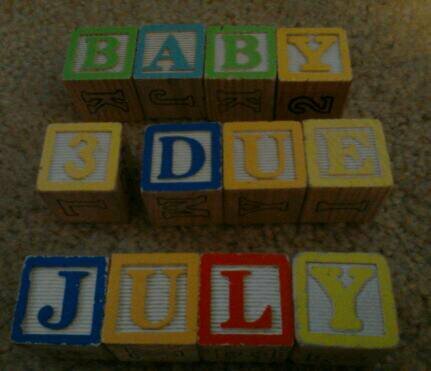 Yes at 20 weeks, end of February, if Baby co-operates. Do you have any other questions??? Ask away!! Congrats! How awesome! 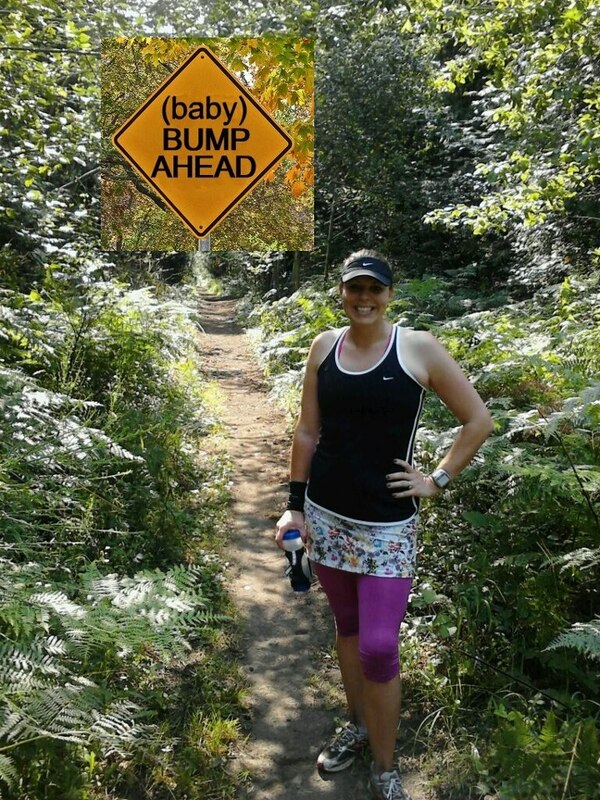 Looking forward to reading along about your running while pregnant! Congratulations I'm happy for you. I'm the stay at home dad of my 2 boys (at the moment) I know as soon as my wife gets the feeling we will be trying for number 3 I just hope it's at least a couple of years off yet. Good luck with the runs/walks and the cravings. That explains it! WOW! HUGE Congrats!!! Congratulations! :) Great news for you and the rest of the family!!!! Looking forward to following along. Congrats Mel!! Can't wait to follow you on your fit pregnancy journey! Are the boys hoping for a little sister or brother? Oh Mel!! Congratulations! I will be following your journey. Here's to a happy and healthy pregnancy! Congrats Mel!!!! It was amazing how many people told me there were trying or secretly pg once I made my annoucment on New Years. The year of babies for sure. Congrats! I am so excited for you. I felt the same way about only having two. I just have one brother and it never felt right. I have three boys and they are amazing. I can't imagine life with only two. I can't wait to read more about your journey of fitness and pregnancy! I'm so happy for all of you! No questions, but very excited for you. I'm due the beginning of June so I've added you to my "fit momma" blog group! Look forward to following your journey! CONGRATULATIONS!!! 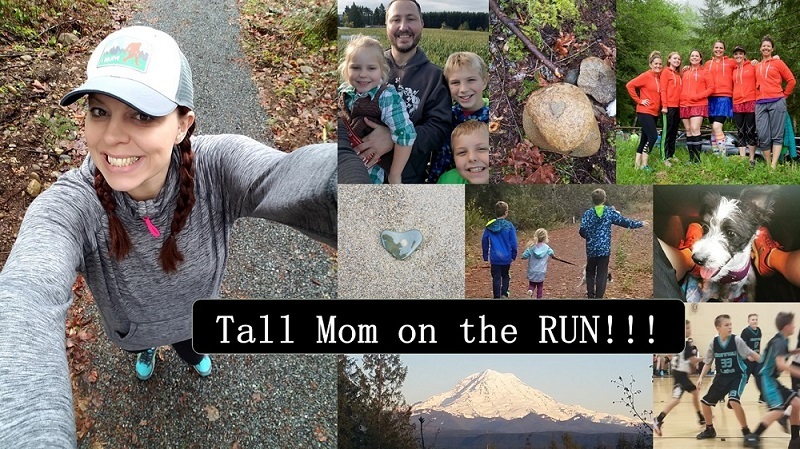 there seem to be a LOT of runner babies goin' on right now - so exciting :) and, from what I hear from friends w/3, the transition from 2 to 3 is WAY easier than the transition from 1 to 2 kiddos! What exciting news Mel! as the Mom of 4 I know that "not being done" feeling. Congrats! As a woman with no children who has gone down the fertility treatment route, I'm here to tell you- you did the right thing. Those drugs can ruin marriages, and it took a while for mine to recover. With that said, I'm still a weirdo about reading this stuff, so I'm removing you from my reader. I want you to know that it has nothing to do with you personally, I love the blog, and I am happy for you. I don't want you to feel weird about it, and normally I just stop reading without even saying anything. It seems like a jerk move to say a word. If you feel that way, I apologize. Feel free to delete my comment. I understand. But I have a good reason for risking it- I wanted to congratulate you on your AMAZING handling of a subject most people don't even consider sensitive. I've lost lots of friends over the years just because pregnant women and babies are so emotionally painful for me, and never, really truly never, has anyone expressed their happiness and acknowledged the difficulty in such an amazing way. That, my dear, is the reason why I'll be back eventually. Though probably not until 2014. Congrats to an amazing person. You deserve this happiness. Congratulations!! :) What lovely news!! so awesome AND exciting for your growing family! I am having the baby itch, we have two boys and I could sooo go for a third! How cool, another baby--congratulations. And what a great Christmas gift. When I was pregnant with my son the only thing that sounded good was Dinty Moore Beef Stew, and I was a vegetarian, hee, hee. Have a great and active week. Congrats! I ran with my second kid - I even completed in a 10K during my firs trimester and a 5K at the start of the second. The only reason I stopped running was because I started dealing with back issues. Have fun running while pregnant and just listen to your body. Enjoy!